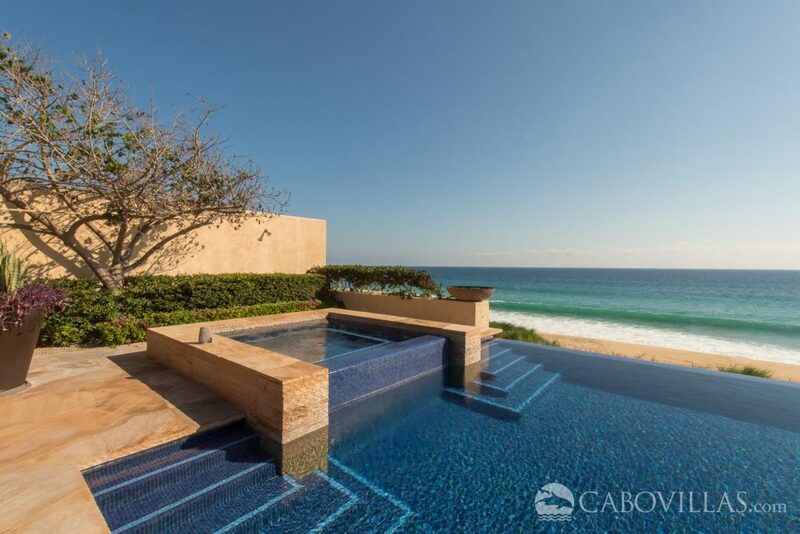 Unparalleled luxury awaits guests at vacation rental Villa Tranquilidad, commanding a spectacular setting in the prestigious private Puerto Los Cabos community. 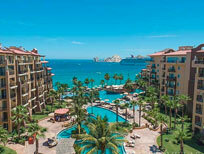 This is the ideal location for an unforgettable family vacation or celebration in Los Cabos. 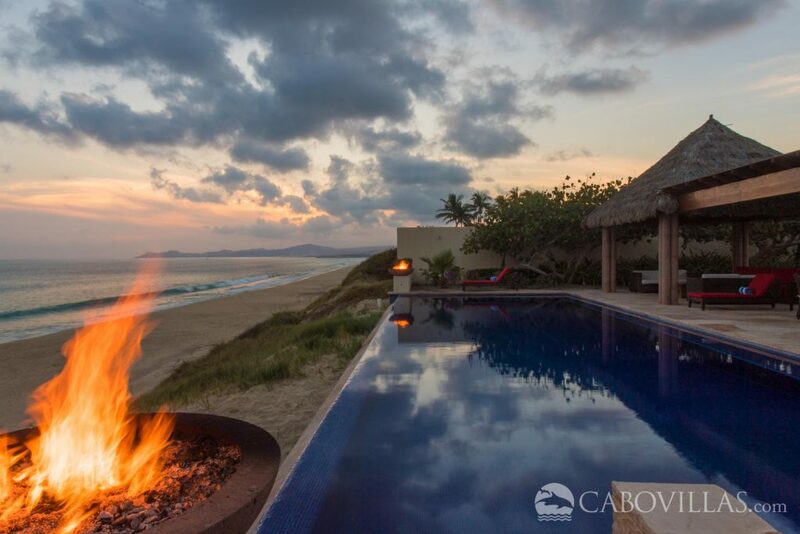 Boasting incredible views of the Sea of Cortez, the beachfront terrace offers the ideal spot to take in sights of migrating whales making their way along the coast. Step down to the sand to take a stroll in this incomparably tranquil setting. 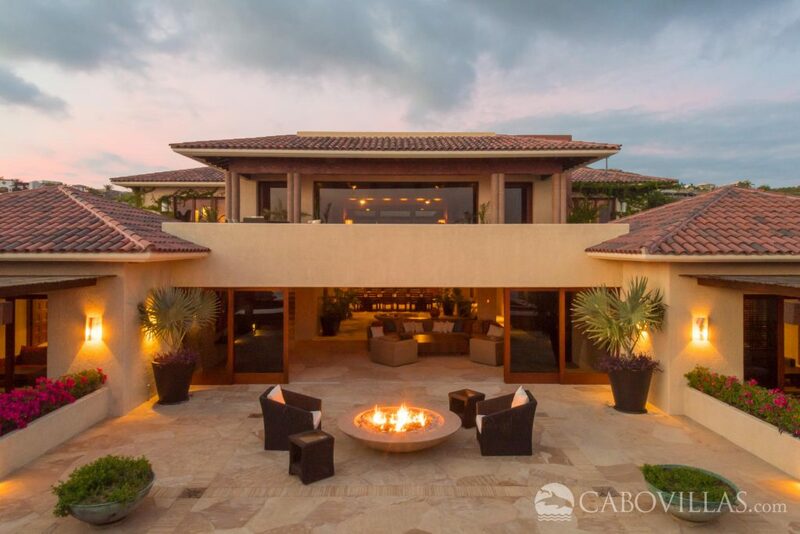 Among the outstanding amenities at this unique vacation property, guests will appreciate spacious outdoor living spaces opening seamlessly to spectacular indoor areas for the best of entertaining. 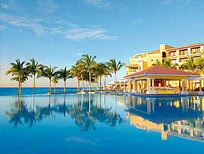 The terrace boasts a swimming pool, fire pit, patio dining areas and a palapa-shaded bar with a gas grill. 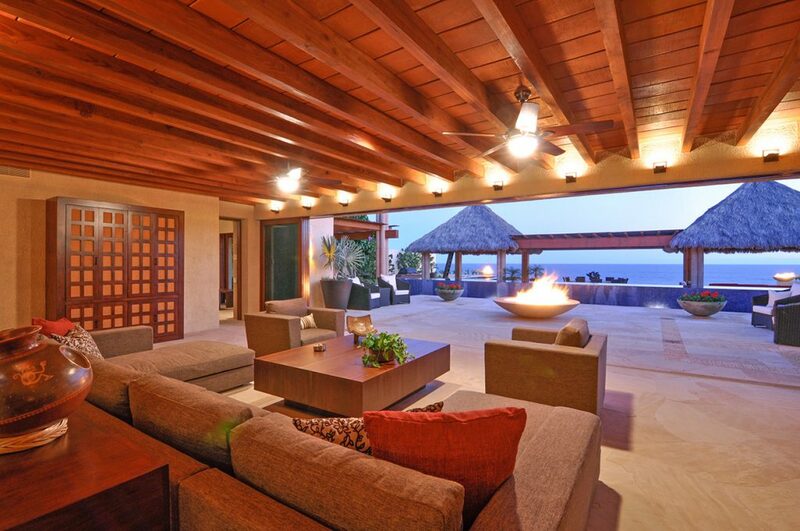 Indoors, impeccable décor and striking modern architectural design create a refined ambiance. Spacious bedroom suites, a gourmet kitchen and large open living area invite you to relax in sophisticated style. A home theater room offers reclining seating for 12 and a 103″ screen. 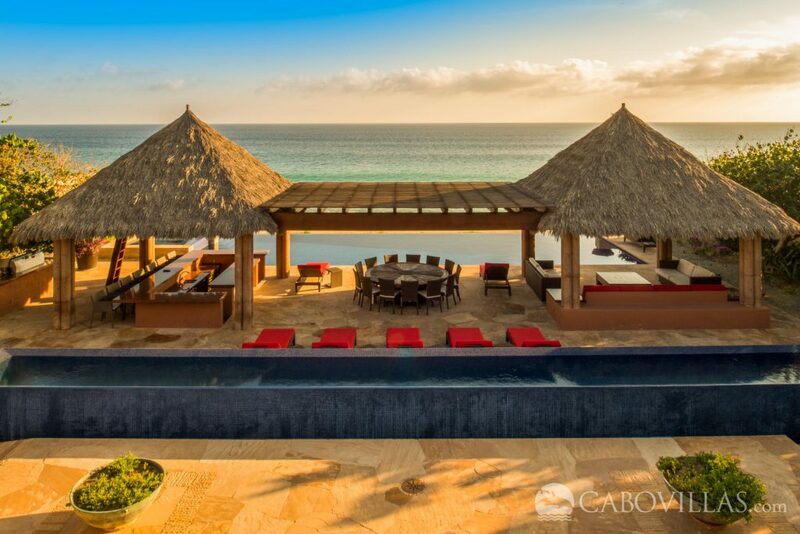 Guests staying at Villa Tranquilidad may also enjoy access to the exclusive Puerto Los Cabos Beach Club offering an oceanfront swimming pool, restaurant and more (subject to availability). 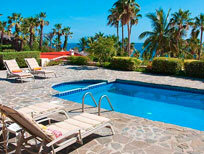 Villa Tranquilidad may be rented as a 6, 7 or 8-bedroom rental. 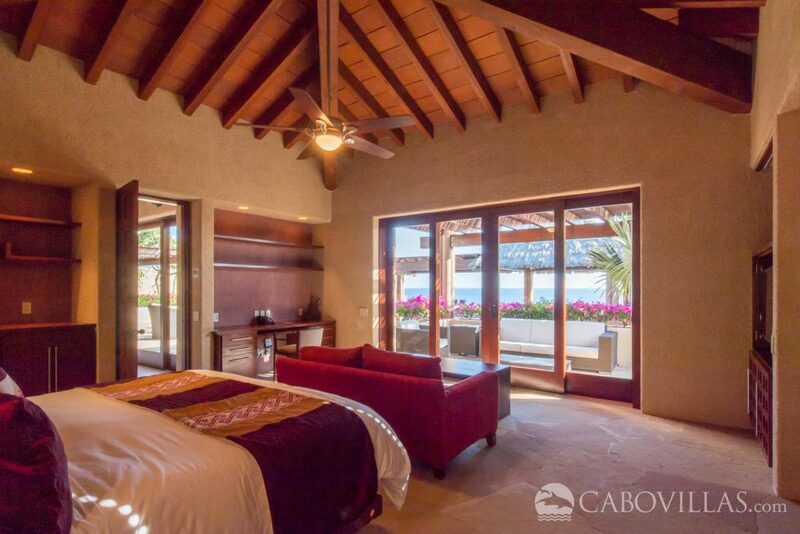 Situated in Puerto Los Cabos, the villa is within an easy drive of all the best activities, shopping and dining the area has to offer. 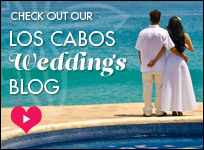 This entry was posted in Cabo Villas and tagged activities, Cabo, Cabo San Lucas, Cabo Travel, Insider Tips, Los Cabos, Villa Tranquilidad, Villas. Bookmark the permalink.